"Good Hare Day" Talk has Spring colours at its heart! These floral letters and numbers are sure to get your vocabulary "growing"! 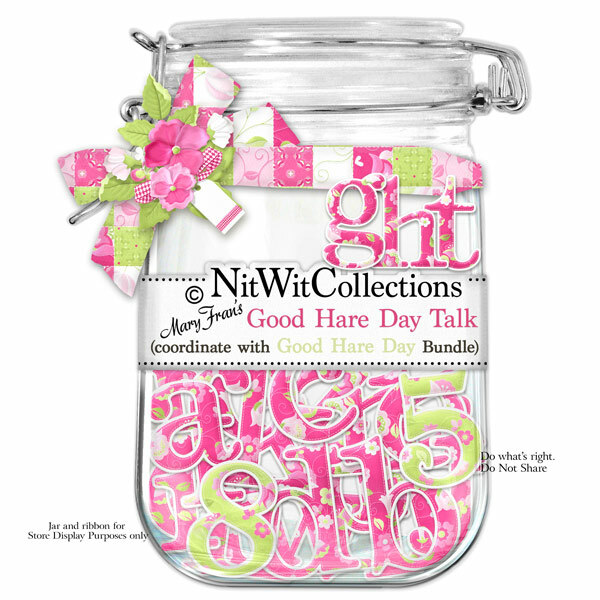 This Alpha coordinates with our FQB "Good Hare Day" Collection. 1 AlphaWit set of lowercase letters, &, apostrophe, exclamation mark, question mark and set of numbers (0 to 9) Letters in in a pink floral and numbers and punctuation are in a green floral.